Home » Wordpress » How do I find out what version of wordpress is running? How do I find out what version of wordpress is running? I have just taken over someone’s hosted WordPress site. How do I find out what version he is running? That will give you the version. In WP Version 3.9.1 Admin Side, You can see the version by clicking the WP logo which is located at the left-top position. 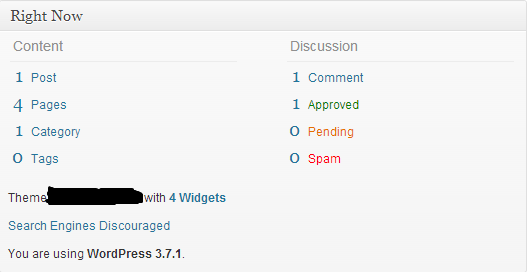 In the WordPress Admin Footer at the Right side, you will see the version info(Version 3.9.1). In WP 4.1.5, If it was the latest WP version in the footer right part, it will show the version as it is. If not, it will show the latest WP version with the link to update. Every WP install has a readme.html file. Here, 3.7 is the version installed. 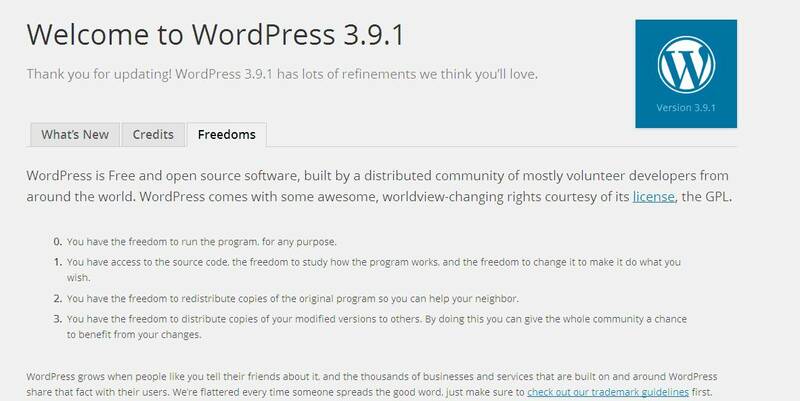 The easiest way would be to see the readme file that ships with every WordPress version itself. Alternatively you can echo out the WP_VERSION constant in your script, it’s up to you. The former is a lot quicker and easier. If you came here to find out about how to check WordPress version programmatically, then you can do it with the following code. // Get the WP Version global. // Now use $wp_version which will return a string value. Because I can not comment to @Michelle ‘s answer, I post my trick here. Instead of checking version on meta tag that usually is removed by customized theme. Check the rss feed by append /feed to almost of any link from that site, then search for some keywords (wordpress, generator), you will have better chance. (3) Click on menu item “About WordPress”. How to load local html files to make a host?